1) Foot strike is a result, not a cause. Coaches, biomechanists, physical therapists, even podiatrists all agree that foot strike comes at the end of the kinetic chain from shoulder to foot, not the beginning. 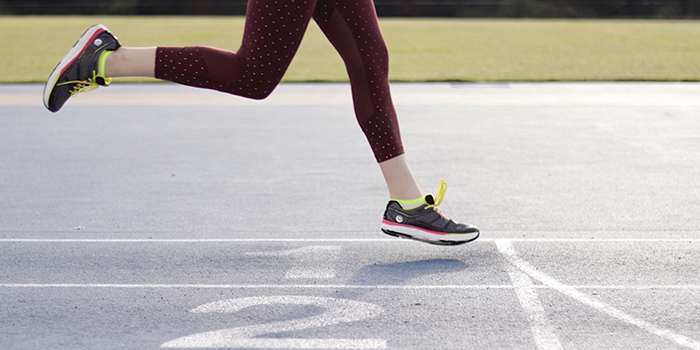 You don’t stride a certain way because you land on your heel or forefoot; rather, because of the angles and balance of your stride, your body lands where it needs to in order to keep you upright and move you forward. Myriad factors influence how your body strides, including your limb lengths, joint angles, flexibility, balance of muscular strengths, posture, even arm carriage. Some of these are determined by genetics, others by lifestyle and training. Your nervous system takes into account all of these factors as it devises the most effective way for you to move, including where to place your foot. “We first learn to move in ways shaped around our individually unique neurological and anatomical architectures,” says John Kiely, Irish performance scientist. 2) Changing foot strike is hard, and usually ineffective. Given that footstrike is a result of a host of other influencing factors, changing it just by thinking about it is difficult, nearly impossible. And if you do manage to change, without changing the mechanics that influence it, you’re likely to end up with an inefficient train wreck. “Technical change is very hard. If you want to implement technical change, telling someone to do something different is practically useless, if not detrimental,” Kiely says. 3) Foot strike is largely irrelevant. Here’s the good news: It doesn’t really matter. During the height of minimalism, admitting you were a heel striker became equivalent to saying you were clumsy, uncoordinated, un-evolved—even learning impaired. Research has proven, however, that forefoot striking isn’t necessarily more efficient, nor does it reduce all injuries. And experts who study the stride confirm that you can have an effective stride no matter what part of your foot hits first. 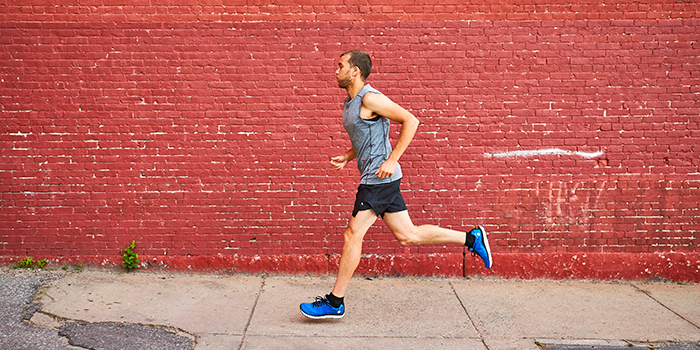 “You’re going to have runners who run on everything from rear-foot to midfoot to forefoot, [with] forward lean and backward lean. There is no one magic angle, no one magic thing,” says Jay Dicharry of the REP Biomechanics Lab in Bend, Oregon. He’s measured heel-strikers who touch down with zero force and forefoot strikers who pound the ground. “Some people have a beautiful stride even with contact in the rearfoot. Likewise, I’ve seen runners who contact in the forefoot and have a high impact peak,” Dicharry says, adding, “I’m not a fan of telling someone to land on a certain spot on their foot. Lieberman goes so far to say that the same runner can, and should, use different foot strikes in different situations, more like whether a tennis player chooses to use a backhand or forehand rather than whether she is right or left handed. Variety in pace, terrain, footwear—and even stride—is a major key to staying healthy. Experts agree that where you hit the ground is far less important than how you contact the ground. “It’s not rearfoot or midfoot or forefoot that matters,” Dicharry says. “It’s where the foot contacts in relation to the body’s center of mass.” The question to ask is whether you are reaching, braking and slamming the ground, or touching down lightly, rolling smoothly and pushing back effectively? As with where on your foot you land, how you land is largely a function of forces that start far earlier in the chain. Improvement doesn’t come by cueing and practicing a new form. Rather than focusing on changing your running pose, restoring a natural stride begins with improving your running mechanics. Improve the flexibility of your hips, strengthen your glutes and your feet, open your shoulders, restore a tall and balanced posture—and your landings will take care of themselves. great article. I have been trying desperately to change my stride. I am still a heel striker though! We’re so glad this was helpful for you! We recommend Jonathan’s book “Your Best Stride” for more in-depth stride advice and tutorial(https://www.amazon.com/Runners-World-Your-Stride-Faster/dp/1623368979)! Also, check out our ACU-Running program to help mobilize and strengthen the underlying biomechanic elements that make up the stride (https://www.topoathletic.com/acu-running-program). Best, most sensible article on running style and foot strike I have ever read. I, and probably many others, have probably wasted more effort and even inadvertantly caused pain and injury trying to modify and change to “the perfect forefoot strike”. Thanks for the great information! We’re happy you found this useful, Richard. Happy running!